Imagine a world with zero search results. As it turns out, Google is moving toward making that world a reality. 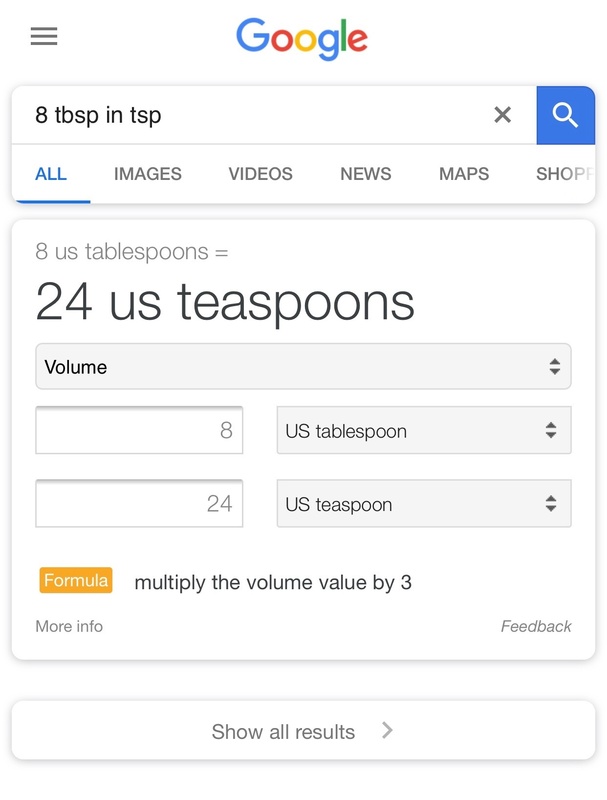 Google has been experimenting with a 'zero search results' page -- where the search engine provides a single answer to queries about local time and mathematical conversions or calculations -- e.g., "8 tbsp in tsp" -- without displaying any other search results. As reported by SEO Roundtable, this is not the first time users have reported seeing the zero search results landscape. The feature was first tested in March, received poor reviews, then briefly appeared again in September due to what Google called "a glitch." But now, Google has confirmed that it has rolled out the zero search results feature on mobile, telling SEO Roundtable that it contributes to quicker load times, among other user experience improvements. So, where exactly do users weigh in on the world of zero search results -- and what does it mean for the work that marketers do? We did some research to find out. How Do Users Feel About a Zero Search Results World? We asked over 4,200 people across the U.S., UK, and Canada for their reactions to Google's new zero search results feature. First, we explained what it is -- "the search engine will provide a single answer to queries -- such as, 'What time is it in New York?' -- without displaying any other search results." 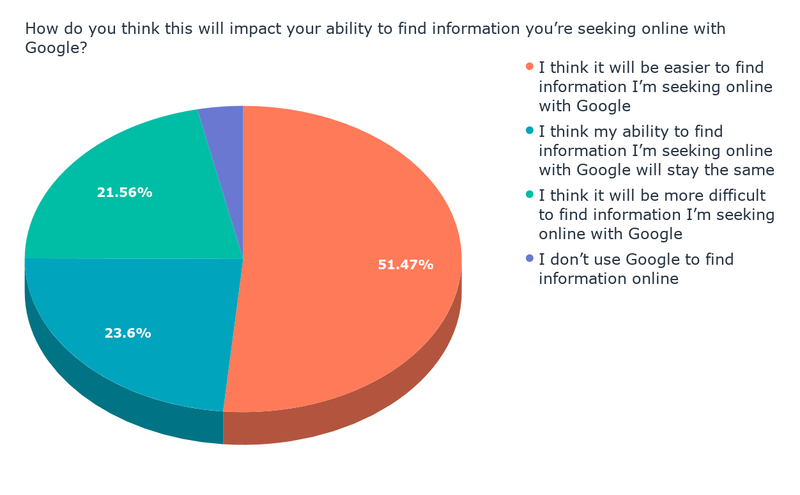 Then, we asked them to measure how this would impact their search experience in a few areas -- such as their ability to find information, the accuracy of the single answers they might receive, and others. We wanted to gauge how many users had actually come across this feature -- so we began by asking how many of them had seen it. There was a somewhat even split between those who said they had come across a zero search results page and those who hadn't. However, most respondents -- nearly 60% -- said they hadn't yet seen it. Then, we wanted to know if users thought a zero search results feature would make it easier -- or more difficult -- to find information. The impression of a zero results world seems to be generally positive, with about half of respondents indicating that they think it would make finding information on Google easier. Next, we wanted to find out how users think the zero search results feature would impact the accuracy of the information they might receive in response to a query. We phrased this question two ways. 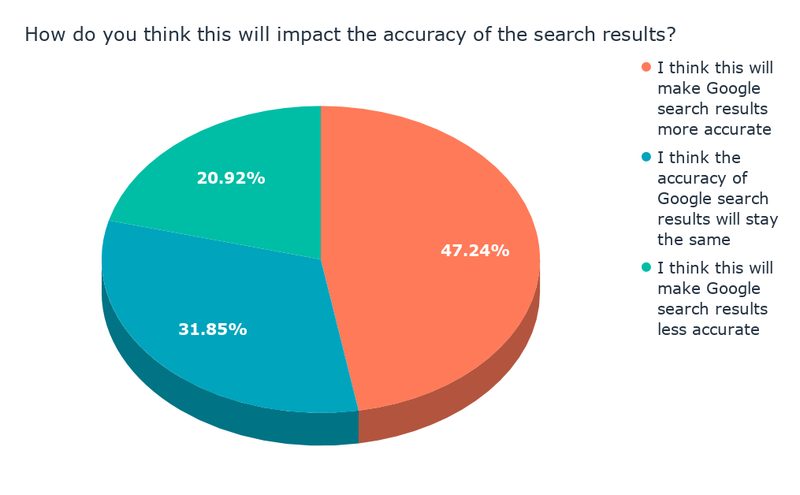 First, we asked users, "How do you think this will impact the accuracy of the search results?" When the question was phrased this way, the response was generally positive, with most people (close to 80%) indicating that they believe a zero search results page would generally make the information more accurate -- or equally accurate to a traditional search results page. Then, we asked how much users would trust the information they received on a zero search results page. Interestingly, the positive sentiment here was sightly lower -- with 20% fewer respondents indicating that they would be more or equally likely to trust the accuracy of information received on a zero search results page. Still, the positive response outweighed the negative, with less than a quarter of participants saying they would trust a zero search results page less. Finally, we wanted to know if a zero search results page would impact the amount of time users spend on Google. Overall, the prospect of a zero-search-results-driven world doesn't appear to have much impact on how much time people will spend on Google, with half of respondents indicating they would continue use the search engine as much as they would otherwise. It's worth noting that one of the reasons Google provided for introducing a zero search results page is quicker access to answers. Over a third of users said they might actually use Google more with the onset of this feature -- suggesting that people would respond positively to the ability to perform more searches in a smaller amount of time. But even if a zero search results feature solves for the user, what impact could it have on marketers and content creators -- especially those behind sites that specialized in unit or time conversations? "Zero search results is the new extreme in search," says HubSpot Head of SEO Victor Pan. "Remember when it used to be just 10 search results? Then it sometimes became just seven, then folks started seeing three-to-five search results on the first page, and now we're at the point where zero could happen." It's that evolution of what search results look like, Pan says, that points to a need for marketers to look at search results from a multi-dimensional perspective. "What this means for marketers in the future is that, if you prioritize by just one piece of search -- like volume or rankings," he explains, "you could be getting an extremely inaccurate picture of a target search term or keyword." So instead of looking at search terms and keywords through a narrow scope, Pan advises marketers to prepare for a more widespread presence of zero results by focusing on intent. First, Pan says to consider the users who might be searching for these target terms or keywords, and what they're hoping to accomplish by searching for them -- their intent. Does the intent behind that search actually present an opportunity for your SEO-related goals, like visitors, rankings, or brand awareness? "What's the total opportunity for that intent?" A follow-up question, then, concerns whether or not multiple search results would actually serve the user's intent and goals in searching for a particular term or keyword. "You need to know ... whether it's helpful for users to have more than one source tell them the answer," Pan says, or if the results for those terms and keywords are best served via a single result. Finally, Pan suggests researching what the results for these target terms and keywords look like, perhaps by way of searching for them yourself before optimizing for them. "How many search results and features -- like featured snippets or 'people also ask' -- show up for specific keywords?" Pan challenges marketers to ask. "These are clues to what Google thinks the user's intent is." And by learning how Google interprets a user's intent, you can begin to understand that of the audience you're trying to draw to your content -- and, therefore, if certain terms and keywords aren't worth pursuing, especially in a zero search results world.